awesome thank you emmaduke !!! Here is a link to an article with it, but I can't get the picture. 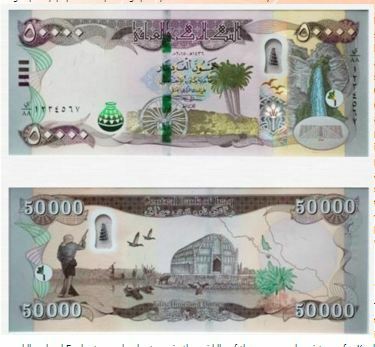 BAGHDAD / Obelisk: publish 'obelisk' image of the new banknote category (50) thousand dinars, issued by the Central Bank of Iraq, on Wednesday. Mainly the new category with light brown to include a number of security and technical signs, the paper also included pictures of planning to paddle wheel and Euphrates marshes of Iraq. 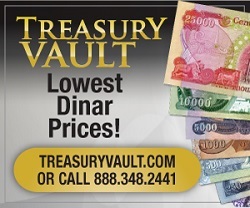 The central bank said in a statement, said that 'for the purpose of completing the Iraqi banknotes structure and the development of high-class value in circulation, the Central Bank of Iraq is pleased to announce to the public the Holy issuing banknotes category (50000) dinars (fifty thousand dinars) dimensions of 65 mm width 0.156 mm length, predominantly light brown except Framework motifs taken bold color ', noting that' banknote was printed using high-quality paper from printing quality with a number of security and technical marks'. He said the central bank in its statement, that 'the new banknote include dates Hijri and Gregorian, and the signature of Governor of the Central Bank of Iraq Agency (Ali Mohsen Ismail), as well as the serial number of the paper consists of break includes rugs letter Z and primarily sequence edition, in addition to the sheet sequence in decimal and put the figure on the right side vertically at the bottom of the left side of the paper horizontally. " The statement pointed out, that 'the face of the paper included schematic picture of a paddle wheel Euphrates and palm trees in the middle of the paper and a picture of a Kurdistan Falls on the right side of the paper, as well as the presence of a security tag has printed magnetic ink variable color (Spark) in color from blue to change to green when the note is tilted '. 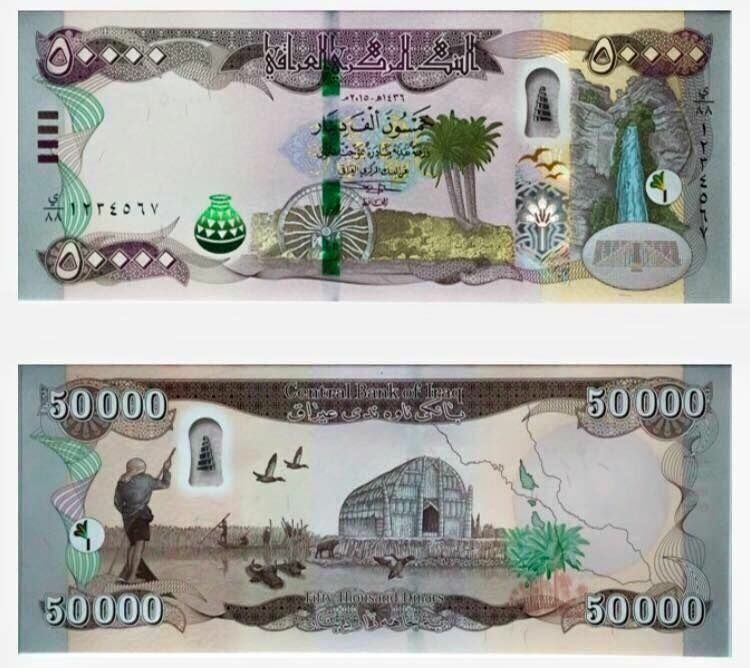 The statement, that 'the other side of the paper contains a graphic image of the Iraqi Marshlands, includes a reed house and a number of fishermen and a group of animals (buffaloes and birds) and images of palm Iraq with Tigris and Euphrates rivers planning within the map of Iraq,' he said, adding that it 'has been banknote paint coating markets in order to extend the life of the paper and protect it from dirt and dust.